Nobel Otter soaps are top-notch performers in my opinion. And I like the scents too. So a great start to the weekend. Have a good one gents. It doesn't matter how expensive your gear is you can still have a poor shave. Thankfully I finished off with the stunning Fougère Royal, so not all bad. SOTD : 10th November 2018. Prep: Hot shower:/ L'OREAL~ Hydra Sensitive Birch Sap Shower Gel. Cold Water Face Rinse./Homemade Lavender + Tea Tree Oil Witch Hazel Mixture./ Brut ASL. A new shave set up to start the weekend...Recently i've been having some fantastic shaves with stuff i've had in my shaving den that i've hardly gave any attention to..The trig stainless blade which is made by the Treet co in pakistan.I've used these blades a few times and have always had good shaving results with them, today was no exception, matching it up with the R41 resulted in a flawless efficient 2 pass + picks BBS shave with no errors to report. 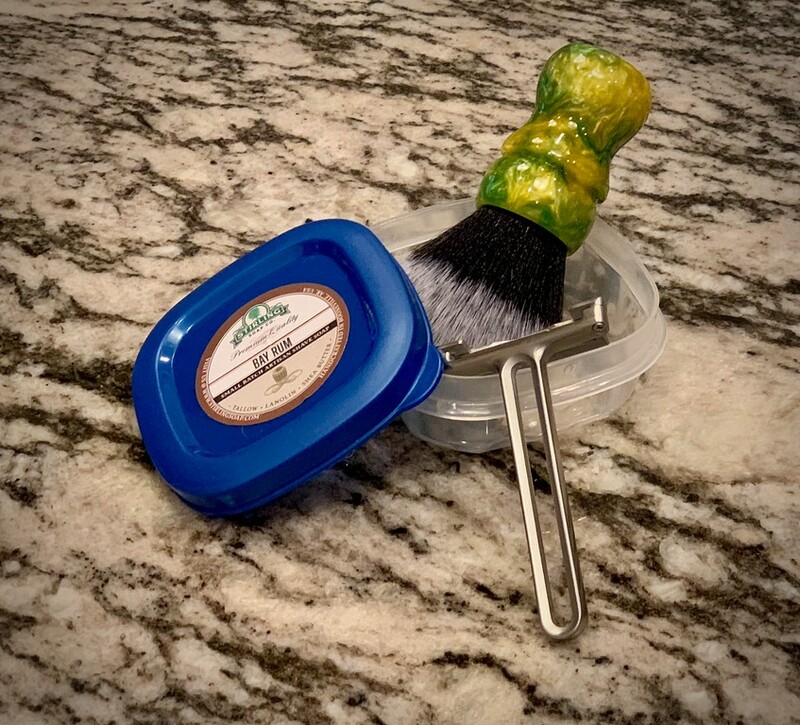 The third pass today wasn't required, my face was near bbs on the second pass,after a quick pick up pass my face was silky smooth..A excellent shave. Finishing the shave off with a generous dollop of aloe vera gel. My face is feeling smooth, & smelling devine. This brush is quite huge in the face. The measurements of the knot are 24/57 with a slight glue bump, and in my mind it would probably be better if it were set 5mm deeper into the handle. It still has enough rigidity to not be floppy, but not enough backbone to give you a massage. 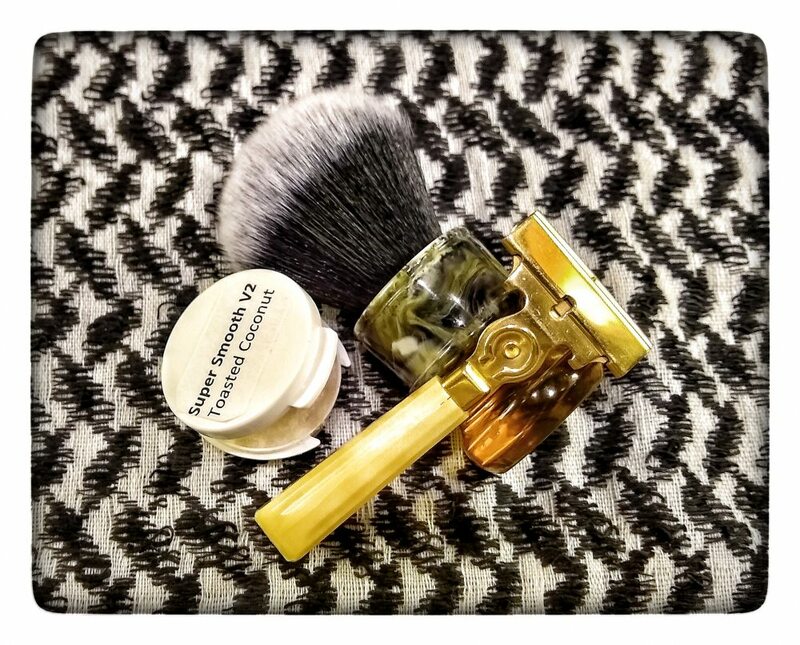 Post-shave:- Thayers Witch Hazel Cucumber followed by Hedonisme aftershave then Barts Balm Amber and Moroccan Jasmine. 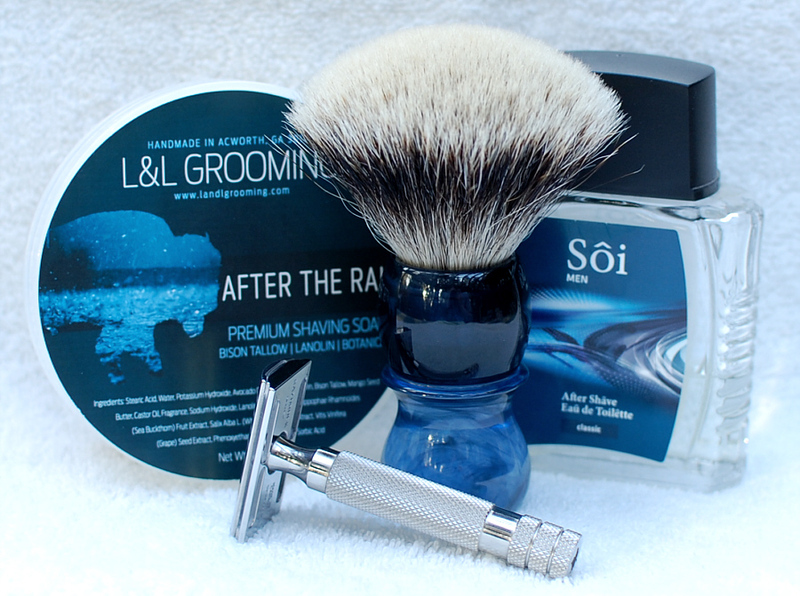 An exact repeat of Thursday night’s shave - fantastic! Feeling great and heading off to the rugby! I got one of those today. I will try and make up for it tomorrow. PS The Cream was nice though. I had a later than usual Shave, having been up in the night. The Shave was smooth and comfortable enough, but I was rather disappointed at the quality of the finished Shave as this combo normally delivers a top notch Shave. I could of course be comparing it to the Shave of yesterday which was rather good. A couple of big hitting lightweights were the stars of the show today. Great little brush and razor. Very nice, smooth, two pass shave this morning. Some great kit contributing to the general feeling of warm wellbeing that resulted. The shave was wonderful today. 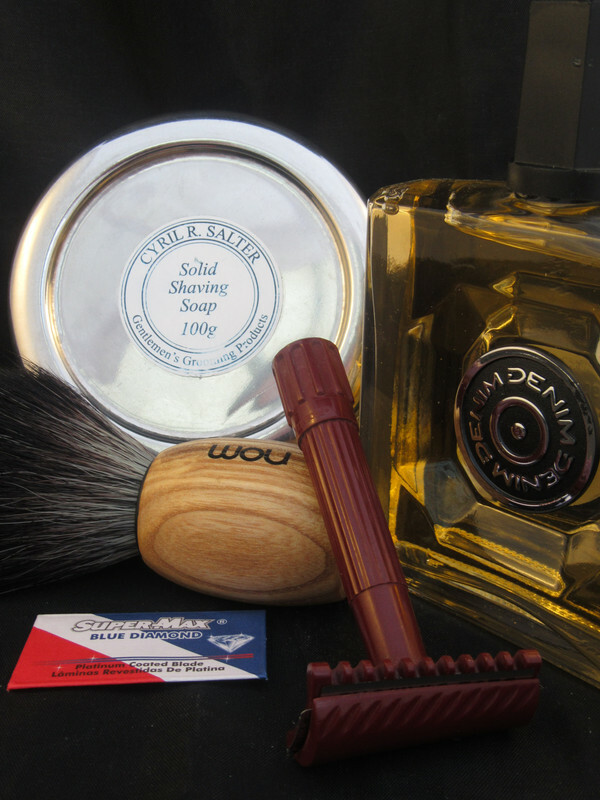 Wickhams new SS formula is a triumph in performance and scent. Unfortunately after the shave while cleaning and drying, the G1's handle crumbled away from the head in dramatic manner. I'm now on the search for a replacement handle, as I do not want to consign the head to the Schick graveyard.